For the longest time, exercise for me was a punishment. It was a way of punishing my body for not being good enough. Creating space, both mentally and physically, where I could love my body at whatever it looked like was a hard mountain to climb. Self-love is so important and exercise can be one of the tools that can help us build a kind relationship with ourselves. Yoga has played a huge role in enabling me to foster and grow my self-love. It takes time to heal old wounds and start building something new where exercise is a tool for empowerment not punishment. Yoga is all about creating space for yourself, inside and out. While the gym for me was a place for obsessive control and gruelling regimes; yoga is a place to relax the mind and test the body, gently and with kindness. My daily yoga practice grounds me; it gives me space to exercise, relax, and meditate. Each day I practice I feel myself getting stronger and more empowered. Activewear was always something I struggled with. It was a uniform that felt heavy and uncomfortable to wear. Nothing fit right and it always made me feel my body was the problem and not the clothes I was putting on it. 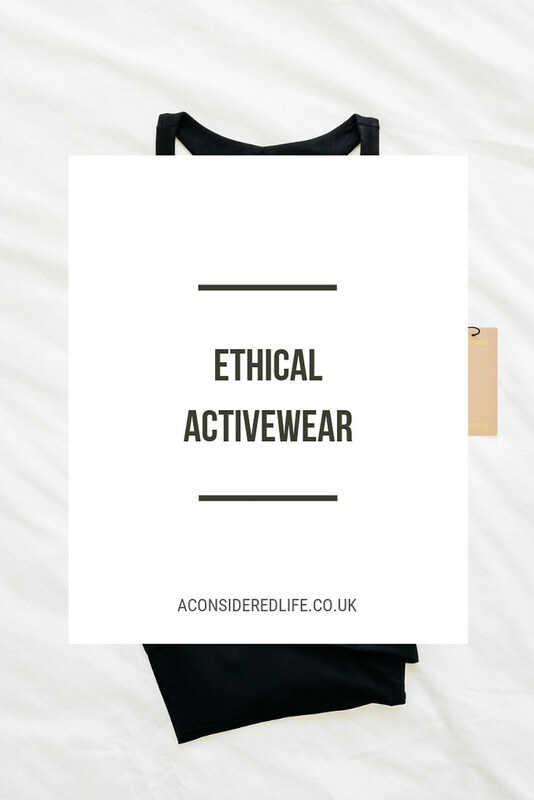 It’s so important to treat yourself kindly and, as insignificant as it may seem, having activewear that looks and feels good can be just as empowering as the exercise you choose to do. 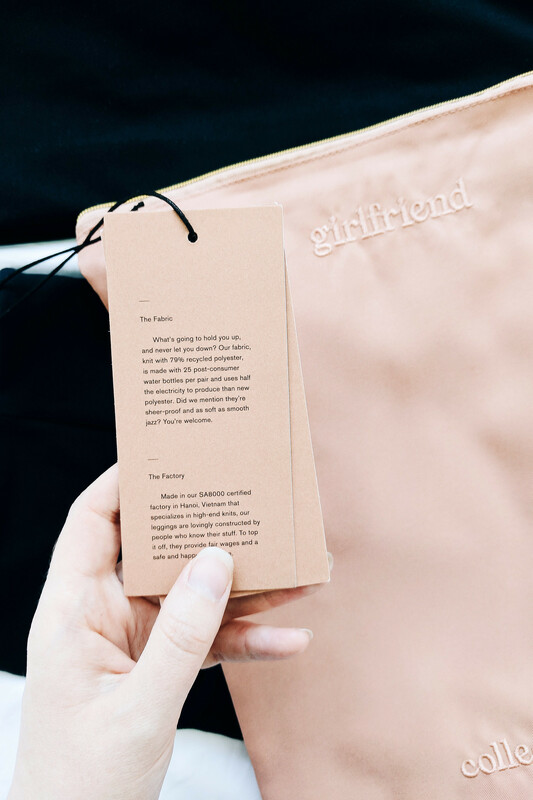 Girlfriend Collective makes activewear to get excited about. Both the bra and leggings are made from 79% recycled micro polyester, 21% spandex, and the fabric is 260 grams per square meter. The micro polyester has moisture wicking properties and the spandex adds stretch and recovery; the softness and stretch keeps you comfortable while the compression enables muscle recovery after medium to high-impact workouts. 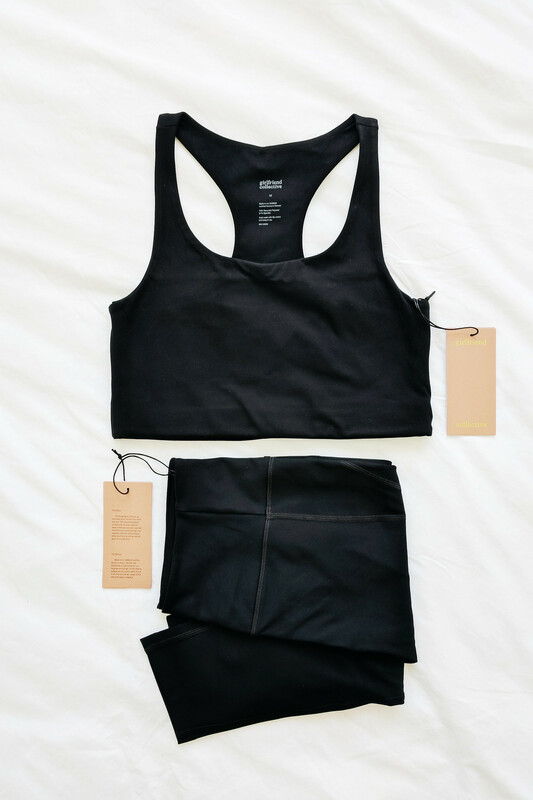 The way the fabric is knit means the activewear is totally opaque and pill resistant; all the seams are flat locked so they don’t bunch or rub on the skin, making for a comfortable workout. The fabric is ever so soft to the touch and super comfortable to wear. I usually struggle with ordering the correct size in activewear but with Girlfriend Collective it was easy and accurate. I followed the Girlfriend Collective Fit Guide to find my ideal fit and it didn’t let me down. It really helps when brands have an extensive fit guide; the combination of garment and model measurements, along with photographs and videos of three different women wearing each available size on the Girlfriend Collective website helped me easily figure out what would most likely be the best fit for me. As a result, I ordered a size M in both bra and leggings and I'm happy with my choice. Both the bra and the leggings feel snug when you first put them on but not in an uncomfortable way. As the website states, the fabric will mould to your shape the more you wear them. You may feel you ordered the wrong size if they feel tight on the first couple of wears but they do relax to fit your body the more you wear them. I’m 5’4 and leggings are almost always too long, bunching at the ankles with excess material. The Girlfriend Collective High Rise 3\4 Leggings fit like a dream. As soon as I put them on I felt comfortable; I didn’t have to straighten out wrinkles or tug at the ankles to hide the signs of them being too long. The in-seam on the 3/4 leggings is 23 3/4” with an 11” rise waistband. 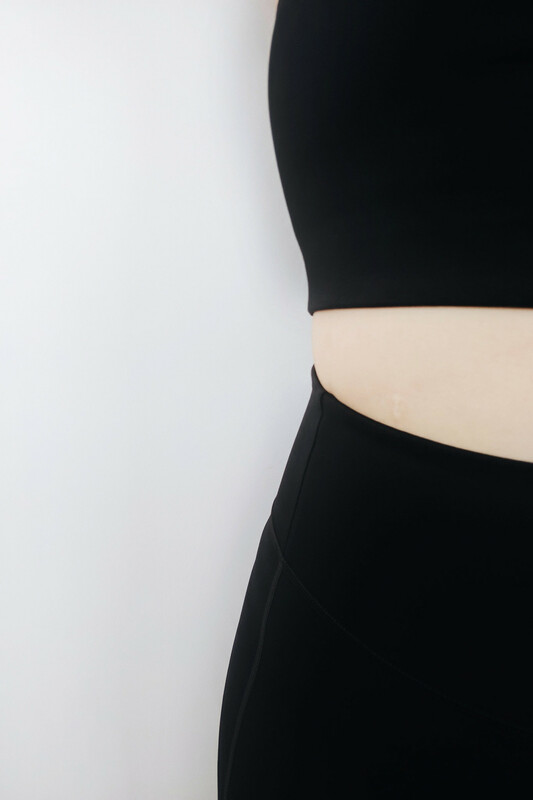 Unlike other leggings I’ve tried, the high waistband on these doesn’t stretch out as you move about; it stays in place and keeps you feeling secure, and stays flat during yoga. I prefer high waistbands because of my body shape and the workouts I do but there is a mid-rise option if you prefer. There are also standard lengths (28.5” in-seam) in both high rise and mid rise leggings. The medium is a touch on the roomy side; they're not quite as snug as I'd like them to be but the small would have almost certainly been too small so I'm happy the size I chose is the best fit for me. The Paloma bra offers full coverage with medium to high impact support with a long line fit and racerback. It's the most supportive Girlfriend Collective bra thanks to the sturdy band that sits under the bust on the ribcage. This bra has been designed for medium impact activities and the coverage it offers means it can be worn as a bra and a top. It feels incredibly secure and comfortable against the skin; the fabric is sturdy and supportive, and I like the coverage the longline body and racerback provides. I found I needed to wear it a few times to allow the fabric to ‘warm up’ and fit my body more than the leggings did, but it was never uncomfortable to wear. The fit guide is accurate so if you follow the measurements, the size you order should fit you. Just remember they will feel snug when you first put them on as they stretch to fit and there is an element of compression from the fabric. Girlfriend Collective offers a robust and transparent break down of their entire manufacturing process from start to finish. Girlfriend Collective activewear starts as post-consumer water bottles in Taiwan; the bottles are sorted, cleaned, and chipped in a certified facility. After being processed into fabric it’s sent to the dye house where every drop of water is sent to a treatment plant to separate out the dyes and stray fibres before being released. The fabric is then sent to a factory in Vietnam where the activewear to handmade by garment workers. Workers are paid 125% of the local minimum wage, provided with a free catered lunch or dinner, and exercise breaks. Free health checks are provided every 6 months as well as health insurance. Workers are free to join unions and the SA8000 certification (the equivalent to fair trade in garment manufacturing) guarantees no forced or child labor and safe working conditions. I’ve never seen a more transparent and I urge you to read it for yourself for the full details. Needless to say, I’m more than happy to shop with Girlfriend Collective again in the future. I can’t imagine buying or wearing any other activewear other than Girlfriend Collective's. I’ve tried four or five different brands and none of them compare in the slightest in terms of style, fit, comfort, quality, and especially not ethics. For my yoga workouts (and for when I want to be comfortable on the couch) this set is ideal. The no-frills style makes for great leisurewear, expanding the use for them in your wardrobe, and the design means they are super comfortable whatever you’re doing. The inclusive nature of Girlfriend Collective’s marketing makes their activewear feel even better to wear. Their range was made with women of all shapes and sizes in mind, helping to make exercise feel empowering and not a punishment. It’s such an important shift away from the experiences a lot of us have had surrounding what it looks and feels like to be active, creating new positive and empowering experiences. I'm here for that. There are very few brands who provide such an extensive look into their manufacturing process. It’s impressive and feels honest and true. It also highlights how severely lacking transparency is in many, many other brands. If Girlfriend Collective can do it, why can’t other brands? 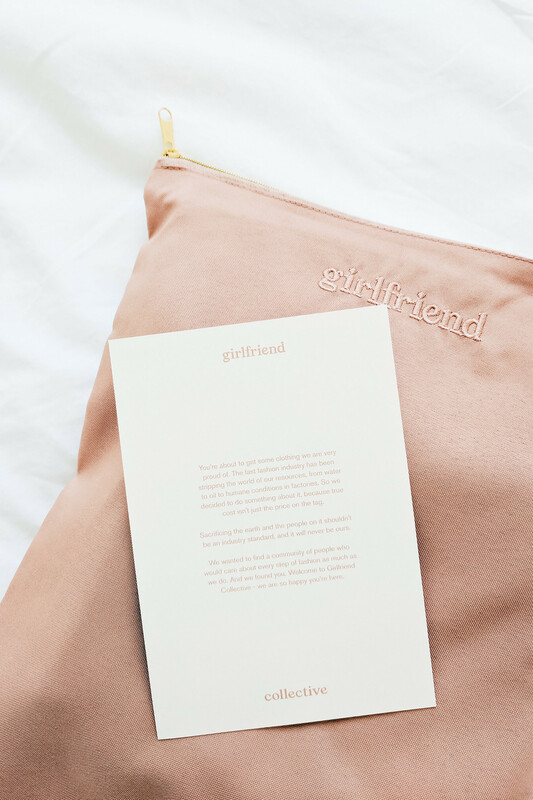 Have you tried Girlfriend Collective activewear? If you have any questions about quality or fit, let me know.